The email and password need to match what is listed online to ensure that your Main Street account remains linked with your program. 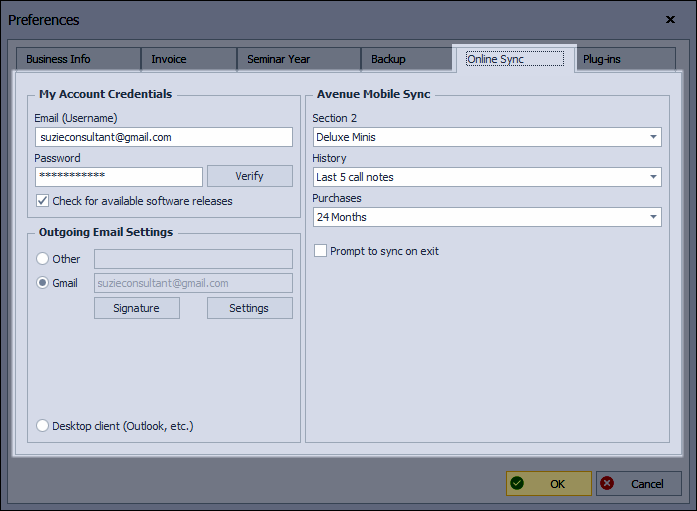 This allows you to access current product updates, sync to Avenue, and install available software releases (See Update Email, Password & Verify Credentials for more information). If you have a current subscription to the Avenue app, choose which information and how much is being transferred to the app when a sync is performed (See Avenue app for Boulevard for more information).